​Blacksburg, Virginia, officially founded in 1798 by John and William Black, is best known as the home of Virginia Polytechnic Institute and State University (Virginia Tech). The university, established in 1872, began as a land grant military institute, but soon evolved into a traditional four-year college. The university remained small until the mid-1960s, when President T. Marshall Hahn decided to transform the school into a large research university. To achieve this, Hahn increased the student body by about 1,000 students per year and hired hundreds of new faculty members. By the end of Hahn’s tenure in 1974, the university had tripled in size. Jews first arrived in Blacksburg in the late 1960s as young academics hired amidst this growth and created a Jewish community. Most of the Jewish academics who came to Blacksburg in the late 1960s came from large Northern cities with major Jewish communities. In Blacksburg, however, they found no organized Jewish life. Early on, a few families drove the 40 miles to Roanoke each week for services or religious school, but for those with young children, the trip became impractical. In light of these concerns, a group of about seven women, most of whose husbands were faculty at Virginia Tech or nearby Radford College, gathered in Elaine Kalison’s home in 1973 to discuss the challenges of raising Jewish children in Blacksburg. Finding support and friendship in other Jewish women, they began to meet on a monthly basis. In addition to socializing, the women coordinated the purchase of kosher meat from Charlotte, North Carolina, and discussed the need to spread awareness about Judaism in local public schools. Perhaps most importantly, the women wanted their children to play together and meet other Jewish kids in Blacksburg. The early members included Leah Kaplan, Elaine Kalison, Doris Abraham, Freda Blecher, Marion Krutchkoff, Marcia Shumsky, Ina Perlmuter, and Linda Rosenberg. During Chanukah of 1973, the Jewish Women’s Group (as they soon became known) organized their first community-wide events. Led by Marcia Shumsky, the group held a “Chanukah Sale,” providing Blacksburg’s Jewish families with dreidels, chocolate gelt, and other Chanukah necessities that they could not find in the local grocery store. The women’s group also hosted their first annual Chanukah potluck dinner, which brought many Jewish families “out of the woodwork” with over 75 people attending. In 1974, recognizing the communal desire for some form of children’s religious education, the Jewish Women’s Group decided to organize a local Sunday school. Leah Kaplan, who had previously been a Jewish educator in Chicago, became the principal, while Marvin Blecher, the Hillel Advisor at Virginia Tech, helped recruit some college students to become teachers. Because Virginia Tech students were involved, the school was able to meet weekly in the Squires Student Center on campus. remove the cross from the temple's stained glass windows. Jewish families continued to arrive in Blacksburg, mostly as faculty members at Virginia Tech. By the mid-1970s, as the Jewish Women’s Group continued to thrive, there was enough momentum to gather for community-wide worship services. This time, four men took the lead: Harvey Rosenberg, David Kaplan, Marvin Blecher, and Larry Perlmuter organized High Holiday services, which also took place in the Squires Student Center. In 1976, the small community organized an informal non-denominational congregation, electing Virginia Tech physics professor Marvin Blecher as their first president. Each Friday night, the congregation held Shabbat services on Virginia Tech’s campus with the student Hillel. On Saturday mornings, the community usually worshiped at the home of Ina and Larry Perlmuter, since they owned a family Torah from which the congregation read. Lay members Larry Bennett and Dan Farkas most often led services, using old Conservative prayer books that Roanoke’s Beth Israel Synagogue had donated to the new congregation. Being a non-denominational congregation occasionally posed some challenges in the early years, especially since members came from a wide range of Jewish backgrounds. In particular, the role of women in worship sparked heated debates. The Perlmuters, for instance, were more traditional and only allowed men to read from their family Torah on Saturday mornings. In addition, for a number of years, women were not counted in the minyan. At the same time, men and women always sat together during services. Ultimately, because the community was so small, members recognized that these differences had to be resolved through compromise rather than splitting off to form new congregations. By 1979, the congregation’s membership had reached about 20 families. That year, they began to search for a building of their own. The members set two main criteria: the building had to be walkable from Virginia Tech’s campus so students would continue to attend services; and the building should be near the center of Blacksburg, visible and accessible to the entire community. In May that year, real estate agent and president of the congregation Linda Rosenberg found an old building for sale that fit both criteria: the old Blacksburg Christian Church and Odd Fellows Lodge, prominently located at the corner of Roanoke and Church Streets. After calling an emergency meeting of the congregation, some members were hesitant about the purchase, mostly for financial reasons. However, a group of about 13 families—calling themselves the Maccabee Investment Group—were determined to buy the building immediately, so they put down the initial payment, and gave the rest of the congregation the option to buy it back at the same price in seven years, which they subsequently did. 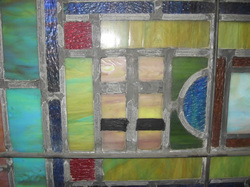 During the summer of 1979, congregation members spent hours cleaning the old and somewhat dilapidated building; they installed new floors, placed black tape on each stained glass window to remove the Christian crosses, and even exhumed a coffin from the old baptismal font used in an Odd Fellows ritual. Finally, in August 1979, the work was complete, and the congregation moved in. The presence of the new building—ironically, the first synagogue on Church Street—ushered in a new era of congregational life. The members voted on an official name, the Blacksburg Jewish Community Center, which affirmed their previous decision to remain non-denominational. They also agreed to keep the synagogue’s kitchen kosher to accommodate all members. Most significantly, the congregation purchased its first Torah, which had been rescued from Europe, to place in their new ark. Women began to lead services and read from the new Torah. Throughout the 1980s, the Jewish community kept growing. While lay members continued to lead weekly Shabbat services, the BJCC hired student rabbis from both the Reform Hebrew Union College and the Conservative Jewish Theological Seminary to lead High Holiday services. In addition, Rabbi Gerry Walter of the Reform Temple Emanuel in Roanoke came to Blacksburg to lead community book groups a few times a year. Virginia Tech’s Hillel—which also saw an increase in membership with more Jewish students attending the university—remained an integral part of the larger Jewish community. Hillel members continued to teach Sunday school, and when the congregation decided to add Hebrew school for older children, they hired many Israeli students from the university. 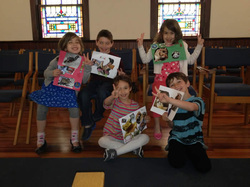 Because the BJCC lacked a rabbi, some families—when their kids reached ages 11 or 12—would join one of Roanoke’s two congregations for the year so their rabbis could train them for b'nei mitzvah. Generally, Jews have felt well-integrated into the larger Blacksburg community; however, in December 1992, one local dispute caused them alarm. When the Montgomery County School Board voted to eliminate the words “Christmas” and “Easter” from the official school calendar in favor of “winter break” and “spring break,” many Christians grew very upset and called for a reversal. Over 300 people showed up to protest the change at a Board of Supervisors meeting. The next day, School Board Chairman Dan Schneck—who was Jewish—resigned from his position, citing frustration at the abusive phone calls he received criticizing his moral character and family. Schneck also stated that his daughters had been denied the chance to graduate from high school with perfect attendance records because they were counted absent for days they missed observing the High Holidays. In the end, after Schneck resigned, the school board did not reverse its decision, but the incident left many local residents bitter and Blacksburg Jews shaken. Even as the Jewish community grew throughout the 1990s, they remained very aware of their position as a small minority within the larger Christian population. On April 16, 2007, the tragic Virginia Tech massacre touched every member of the Blacksburg community. 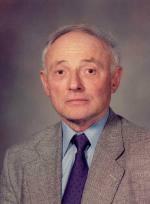 Dr. Liviu Librescu, a Romanian Jewish Holocaust survivor and engineering professor at Virginia Tech, was one of the 32 victims killed in the shooting. In a heroic act, Dr. Librescu held the door shut with his body as the killer tried to enter the classroom, giving his students enough time to climb out the window. Dr. Librescu was shot through the door four times and died at the age of 76. The Jewish community grieved together in the aftermath of the tragic death. The BJCC held a memorial service for Dr. Librescu, attended by his widow Marlena. For weeks following the massacre, a large group of students and staff gathered at the BJCC for dinner and support. United Jewish Communities also provided a rabbi, Zahara Davidowitz-Farkas, to help Jewish students cope with the tragedy. Chabad-Lubavitch of Virginia, meanwhile, announced that they would open a house in Blacksburg in honor of Dr. Librescu. One year later, on May 7, 2008, Chabad established the Librescu Jewish Center just off campus. In 2011, in an effort to support Virginia Tech’s Jewish community, Diane Rosenberg of Roanoke donated $1 million in honor of her late husband Malcolm to help establish a Hillel building. In April 2013, the Malcolm Rosenberg Hillel Center for Jewish Life officially opened to students, bringing exciting opportunities for growth to the Jewish organization. According to Hillel, there are over 2000 Jewish students at Virginia Tech today. Susan Kurtz has served as the Executive Director of Hillel since 2003, while Rabbi Bruce Aft of Congregation Adat Reyim in Springfield, Virginia, serves as the rabbinical advisor. Hillel continues to collaborate with the BJCC, co-hosting Shabbat services—at Hillel on Friday and at the BJCC on Saturday mornings—and organizing kosher eating groups and Jewish cultural programming in the community. Hillel students also continue to teach at the BJCC’s religious school. ​In 2013, the BJCC has grown to about 65 families with 15 students in its religious school. While most members live in Blacksburg and are affiliated with Virginia Tech, the congregation also serves Jewish families living in the neighboring towns of Christiansburg, Radford, and Floyd. The congregation continues to be lay-led and non-denominational, alternating between Reform and Conservative-style worship for Saturday morning services. While Jews remain a small minority in Blacksburg, members say that the overall level of Jewish awareness has increased in the larger community over the past decade. In the upcoming years, as the Jewish population increases in both the Blacksburg community and on Virginia Tech’s campus, Jewish life will continue to grow and thrive.